With the rate at which the quick-service restaurants are growing, there is no doubt that the competition is becoming rather stiff. Considering the predicament of the situation, if you do not keep your quick service restaurant marketing strategies on the mark, there is a high possibility that you will lose out on your potential customers to your competitors in the market. Venture into both online and offline modes of restaurant marketing. 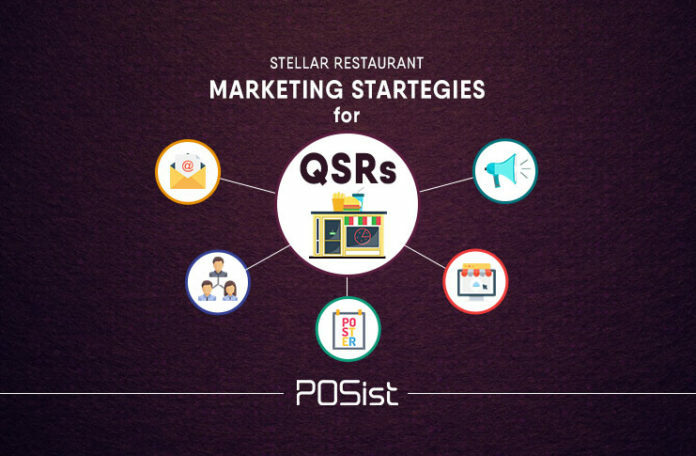 Be it creating a stellar SEO friendly website, having a social media presence, integrating with online delivery platforms to distributing flyers, taking part in food festivals, and listing your QSR in the food guides all these activities has the potential of bolstering your overall QSR operations. Restaurant Marketing is an integral part of your restaurant operations. And you under no circumstances should turn a deaf ear to it. The growth of quick-service restaurants is on the rise, and this makes it imperative for your QSR to do something extra that will keep your customers wanting more! 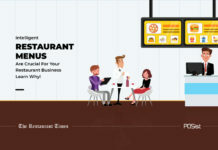 Just like all restaurant a quick service restaurant too must venture into both online and offline modes of marketing its products and its restaurants. According to the National Restaurant Association, 83% of adults use smartphones or tablets to look up information about restaurants such as hours, location, menu and more. This makes it clear the restaurants should align their restaurant marketing strategies so that they are in tune with the social media. Since most of the customers prefer to do their research about the restaurant before actually visiting it, it only makes sense if you have a website from where your customers can get all the relevant information. Your website should be designed as per the set standards and abiding by the SEO norms, which will help you to have a better ranking on Google. Quick service restaurant is all about, fast food, hence use catchy colors and make your website funky and attractive with mouthwatering pictures. If you have your website in place, through online ordering, your QSR can attract a lot of sales. You can start your blog, through which you can educate people about the new trends in the market, the latest technological innovations that will make restaurant operations seamless, by taking such initiatives you will pave the way for creating a community of diners, bloggers and restaurant owners. Such a step will make your restaurant more credible to your customers. Customers nowadays prefer to get their food delivered to their doorstep instead of dining out. Considering this, it is always advisable for you to integrate yourself with online delivery platforms, and increase the scope for your potential customers to find you on these online platforms. Online ordering is generating about 70% of orders for all restaurants on average. 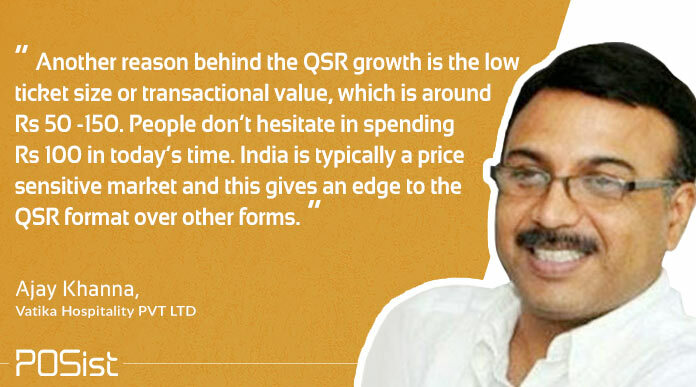 QSRs mostly if not always draws the largest portion of its sales from online orders, hence, if you are integrated with online delivery agencies like Swiggy, Zomato, FoodPanda and the like, then there are chances that you will lose out on a lot of potential customers. 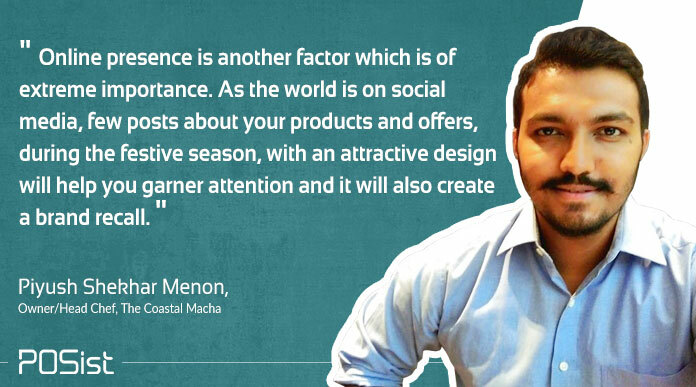 Social media marketing is the need of the day. It is the best place where you can get all your potential customers and also be in touch with the already existing ones. Hence, it is imperative for a quick service restaurant to have a social media page, where they regularly upload and post pictures and video of the restaurant. For high-quality photos, you may consider hiring a professional photographer, but you could always try to take the images yourself. Do remember that it is essential for the quality of the photos to remain consistent. Food photos are a great way to let customers see the type of food you have to offer. Having a presence on Google My Business has become an essential part of having an online presence these days. Most of the customers tend to look up the restaurants near them on Google before deciding to go there. Another tip for social media promotions is to run giveaways for gift cards and merchandise. This is a great way to get followers excited about your brand. If you don’t have many followers on your social media accounts, ask followers to like and share your page for a chance to win a gift card or discount at your restaurant. Giveaways don’t always have to be for a gift card or merchandise. You could run smaller giveaways more frequently for free soup, salad, or dessert. A data from global consulting firm McKinsey shows that email remains nearly 40 times more effective than social media at acquiring customers. Hence, collect feedback from your customers and maintain a comprehensive CRM with their details. With the available customer database at hand, you can run email marketing campaigns, by sending promotional emails, or even customized emails depending on the customers ordering history. You can also send an email containing vouchers or discount coupons to your customers on special days like birthdays and anniversaries. The concept of food festivals has evolved massively. Hence, being a QSR which generally specializes in fast food, these food festivals can be a very lucrative way to get in touch with your existing and in attracting new customers. Not only food festivals, but there are also various events like the film festivals, music festivals that take place, why don’t you put up a stall there? Since there are multiple QSR’s that are cropping up every day, you need to walk that extra mile that will help you to stay in sight of your customers. Distributing pamphlets and flyers is one of the most cost-effective offline restaurant marketing strategies, and can be effectively used by QSRs. Since the target customer base of a quick service restaurant is usually within a distance of 5 km, you can distribute the flyers and pamphlets to capture your local audience. Quick service restaurants are primarily based on the Impulse Buying model, and hence targeting the local audience, and instilling the impulse in them by distributing pamphlets to buy your food is a good marketing strategy for restaurants. Pamphlets are cheap and can be easily distributed to potential customers. The design of the flyers is also essential and must be designed carefully to attract customers. Ideally, a restaurant pamphlet should contain the menu of your restaurant, and highlight any unique dishes or deals that you are offering to entice customers, in short clearly explain their USPs. A clear Call-to-Action, such as Order Now with your restaurant’s phone number should be visible. As these pamphlets usually tend to boost home delivery orders. And this makes it imperative for you to you must mention the time, area, and minimum order restriction (if you have any) on the leaflet. Your restaurant’s presence in food guides is a must. Listing in travel guides and search engines like Justdial proves to be beneficial while reaching out to potential customers. It is primarily the tourists who refer to food guides while deciding on a new place to dine at. Although online listing sites have overtaken the market, a presence in the printed food guides remains a must QSR marketing strategy. This can be a great initiative to increase your customer base. You can partner with various local organizations and then go about catering at the events organized by them. Such activities are especially important if you are new and you want to spread your word in your vicinity. However, if you are an already established one, even then, it is necessary, since it will help you to be in sight of your customers. Considering the stiff competition in the QSR business, restaurant marketing has become an absolute must to attract customers. Hence, unless you have aggressive restaurant marketing strategies in place, your quick service restaurant might go below the pile of the other QSRs that are cropping up every single day in the market. Can you afford that? Of course not! Hence implement the above-mentioned restaurant marketing strategies for your fast food restaurant and see how it helps you to retain and attract all the potential customers out there!